Prior to Liverpool facing Manchester United in front of over 100,000 fans in the last leg of their US tour on Saturday, United’s increasingly-beleaguered manager faced the press. 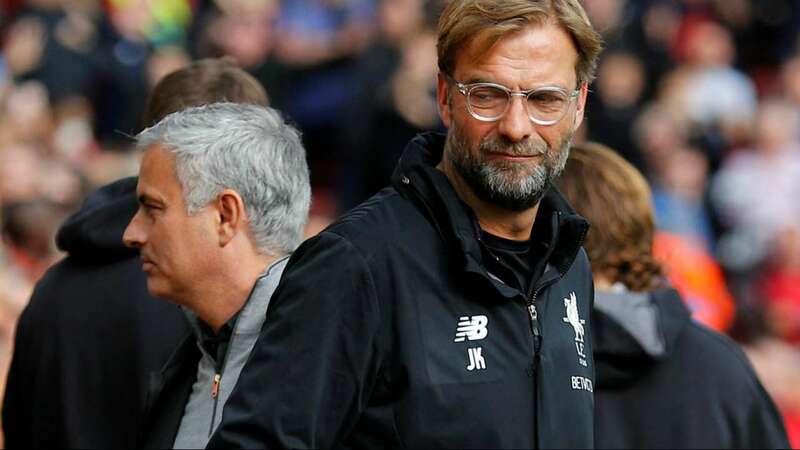 Speaking of his opponents and their progress this summer, Mourinho said with a trademark smirk, that Liverpool “had to win the league” this season. This fleeting assessment was based on how much money had been spent in this window on new players. Thus begins the mind games from Old Trafford. An age-old tradition brought in by Ferguson and continued by his Portuguese successor. They have been an effective weapon for United in the past. But it will be interesting see how they work on Jurgen Klopp this coming season. Many men have fallen foul of them down the years, Klopp, though, is a different breed. Kevin Keegan’s Newcastle were effectively beaten in the title race on 29th April 1996. In the formative days of Sky’s extended coverage, Keegan was being grilled by Richard Keys and Andy Gray about the back-and-forth of that year’s title race. Hardly toxic stuff, but Newcastle’s manager eventually snapped under the constant needle work of the legendary manager’s psychological warfare. Ferguson must have been grinning as he sipped his Rioja. He’d won. It was one of the most infamous meltdowns in Premier League history, and Newcastle would squander a league they once led by twelve points. Such is the power and potency of the mind-game, it has become a near permanent fixture of the Premier League title race. Liverpool fans should be glad that the pantomime villain at Manchester United is making snide remarks about the club’s spending. It means Klopp is steering the ship in the right way. However, Mourinho has conveniently elected to ignore the elephant in the room; one that’s wearing a sky blue jersey. Pep Guardiola’s League Champions are the side who everyone else must try and somehow surpass this season. City were one of the finest football side’s in the Premier League era and worryingly, are still building. Yes, Liverpool may be a sparring rival for United this season, but if someone is to get close to City, then they will need to be exceptional. The focus should surely be on trying to compete with City. Mind games won’t come into it if we are all looking up at whirligig of City’s perfect possession play once more. Perhaps Jose is simply trying to keep things interesting. Many top coaches have felt the sting of the mind games in the Premier League. Arsene Wenger and Rafa Benitez fell prey to Ferguson. Mourinho also enjoyed toying with Wenger and was known to face-off with Gaurdiola when the two were La Liga rivals. Klopp, however, is different to any of Mourinho’s previous rivals. The lovable German is so thick skinned and takes himself so easily, that the barbs from his rivals can be brushed off, relatively pain free. Jose may well find his continuous efforts deflected in such an amusing, light hearted way. No doubt he will try everything in his play book, to try and unsettle Liverpool this season. Again though Liverpool fans should rejoice, especially if he’s still doing it next May and Jurgen is still smiling. This article was originally published here at Footie Blog #14.